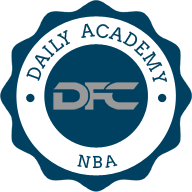 When constructing NBA DFS lineups, there are a lot of factors to consider, and finding value is at the top of that list. In order to determine which players actually provide you with value, you need to dig deep into your research. As is the case with every DFS sport, your first step is to check Vegas. For example, two similar players at similar price tags can be distinguished by looking at their respective game totals. There are a few ways to look at value. One way to determine a player's “value threshold" is to set a target score for your lineup, based on game type. I'll use FanDuel as an example. FD has a salary cap of $60,000, or $6,667 per player. On most nights, a score of around 275-285 points is good enough to cash in double up and 50/50 contests, and a score of 300-315 will get you into the money in GPPs. How do you determine each player's value then, you ask? Here you go. 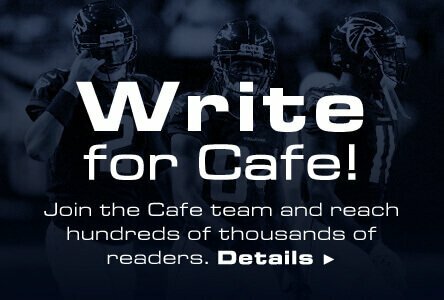 First off, you need to take into account each player's salary on a given site (or all sites you are playing on), then you need to determine that player's projected FP (fantasy points) for that game. You can use your own projections, or better yet, take a look at our projections at Daily Fantasy Café. Each DFS player or site will have their own unique projection system, so keep that in mind as you proceed. Let's use a simple example of Stephen Curry, and let's assume that his salary is a flat $10,000. In order to reach a target score of 285, we will use a simple formula, which will help us determine just how many points we need from each dollar of salary. If we have a target goal of 285 points across 9 roster spots, we'll use the formula of 4X+5. The way we utilize this is to take each player's salary, multiply it by 4, then add 5. Here is the breakdown of Curry's cash game “value threshold": 10 (thousand) X 4 + 5 = 45 FP. In order for Curry to meet value, he'll need to produce 45 FP. Players who provide value are the ones who are the most likely to exceed their “value threshold". While Curry could certainly meet and exceed 45 FP, counting on that sort of extra value with his high salary may not be the best strategy. However, in cash games, you're happy with a player reaching our target value, so if Curry is projected for roughly 45 FP, he makes for a fine cash game play, but does not provide any value. In GPP games especially, we are looking for players who can meet AND exceed their value threshold with ease. A standard GPP formula is 4X+8, which would give you a FanDuel GPP threshold of 312, right inside the range mentioned earlier. Therefore, Curry's GPP threshold in this case would be 48, rather than the 45 needed in cash games. If we have a player listed at $5,000, that player would have a GPP “value threshold" of 24 points, and here is where we can dig deeper into potential values. Now that we have that out of the way, let's discuss how to find players who present value. First off, the NBA season is taxing, with 82 regular-season games. There are injuries seemingly every night, and when a starter is injured and sitting out, their minutes and/or production need to be replaced. It generally takes sites a few games to adjust a bench player's price in an increased role, which is the perfect time to pounce and grab some value. Here's an example: Let's say that Pau Gasol ($8,900) is sitting out, and Taj Gibson ($5,000) is taking his place in the starting lineup. While Gibson's cash game “value threshold" is 25 points, he may very well exceed that total when thrust into more minutes and a bigger role in the offense. If his baseline projection was 25 points in his role as a bench player, then it would be safe to assume that his projection would rise with more minutes in an increased role. Any points above that threshold are simply a bonus on his current salary. This is where you can find value due to an injury. Another way to determine value is simply by looking at players whose teams play down in pace, yet are facing a team who plays at a much faster pace. These types of games will produce more possessions for each team, leading to more potential FP output across the board. Making a list and/or spreadsheet of salaries each night is a solid way to get started on determining value plays. Once each team has played a few games, we'll get a good idea for each player's minutes and role in the offense. This will go a long way toward determining value on a given night. 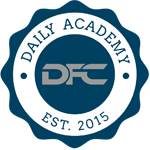 If you have any questions, reach out to our experts in the forums or on Twitter @dfcafe!